St Mary's is the parish church of a Lydiard Tregoze, a village that disappeared some 300 years ago. 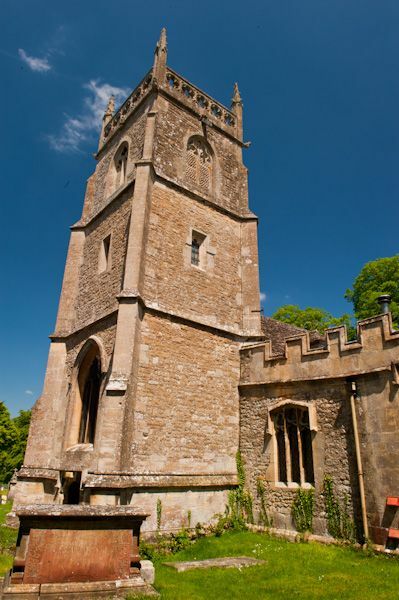 The church features gorgeous monuments to members of the St. John family of Lydiard Park, as well as 15th-century wall paintings. A feast for the eyes as well as the spirit, set amidst many acres of restful parkland in the grounds of Lydiard Park. Lydiard Tregoze itself has been suggested as a possible site for the Battle of Ellandun, in which Egbert of Wessex defeated Beornwulf of Mercia in AD 825. The oldest part of the church dates to the 13th century, but it seems certain there was a church here before that time. 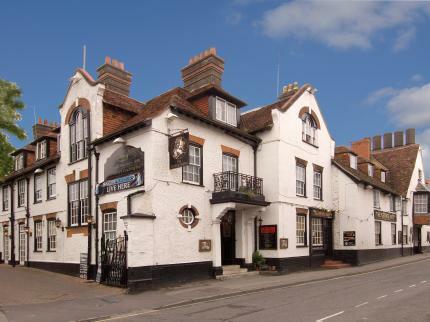 The building was renovated in the 15th century, the altered again in 1633 and once more during the Victorian period. 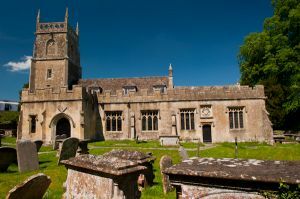 St Mary's is built of limestone rubble and ashlar, with a slate roof, and the church layout consists of an aisled nave, chancel, south porch, and west tower. 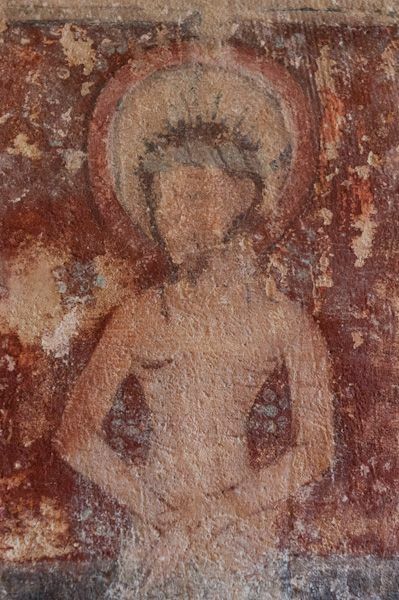 Most of the wall paintings date to the period 1400-1450 and they cover much of the nave. The paintings include traditional figures such as St Christopher and St Michael weighing souls, as well as a depiction of the Martyrdom of St Thomas Becket. Perhaps more interesting from a historical perspective is the Head of Christ painted in the south porch. Very few churches in Britain have paintings inside the porch, but here we see a distinctive figure above the south door, surrounded by a floral design. 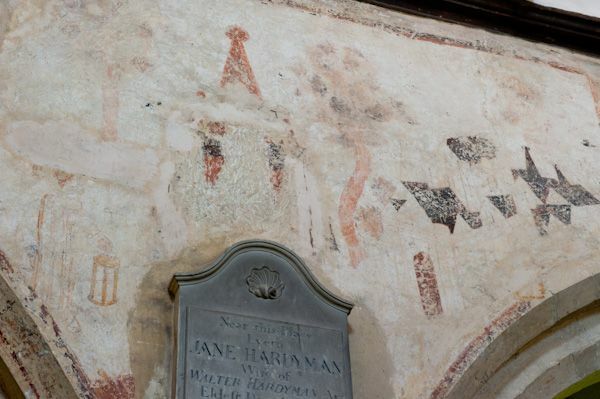 Perhaps the most intriguing historical feature is a painted triptych in the chancel. The triptych stands on a chalk base and is commonly attributed to William Larkin. 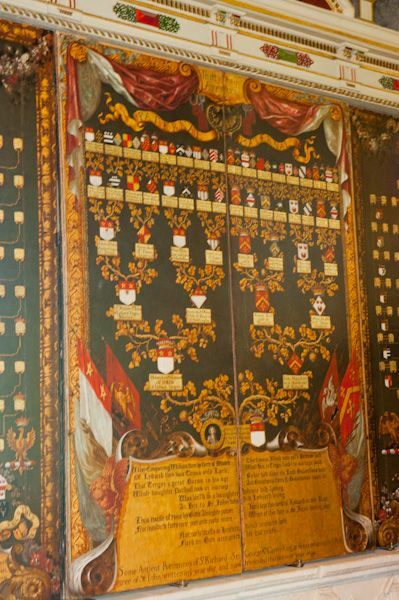 Larkin's work was augmented by a later family tree and removable panels depicting allegorical figures, which were added in 1699. The triptych was erected by the 1st Baronet, Sir John St John, ostensibly as a memorial to his parents, but it is the figure of the Baronet himself that stands out, along with his wife and six daughters. The church is full of fantastic monuments to the St John family, monuments which have described as 'the finest effigies in England'. 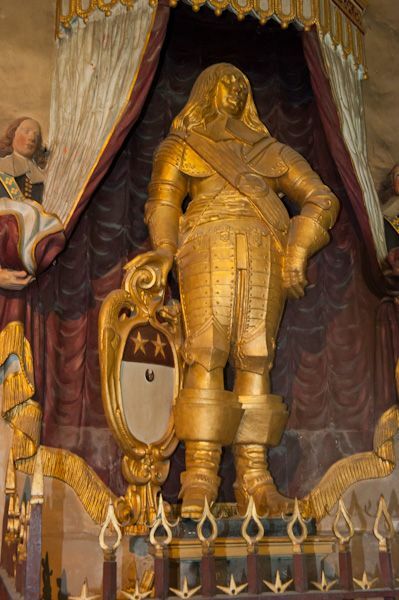 Perhaps the most impressive is the 'Golden Cavalier', a life-size gilded effigy of Captain Edward St John (1645). Captain St John was a Royalist commander in the Civil War and died in the conflict. His effigy was at first painted black to simulate marble, but later the armour was gilded to create a memorial that may be unique in Britain. The 1st Baronet St John did not leave it to his descendants to build a memorial to his memory; he designed it himself while he was still alive. 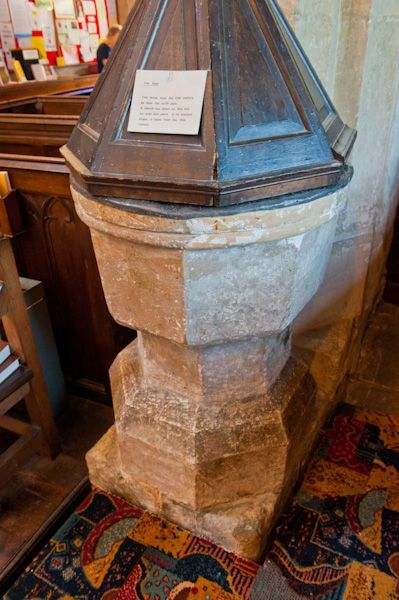 The monument was erected in 1634 when the Baronet was under 50 years old. The St John monument commemorates the Baronet, his first and second wives, and his 13 children. The effigies are made of alabaster, chalk, and black limestone, and the quality of the craftsmanship must rank the monument among the very finest in Britain. Also of note is the tomb of Giles and Lady Mompesson (1633). 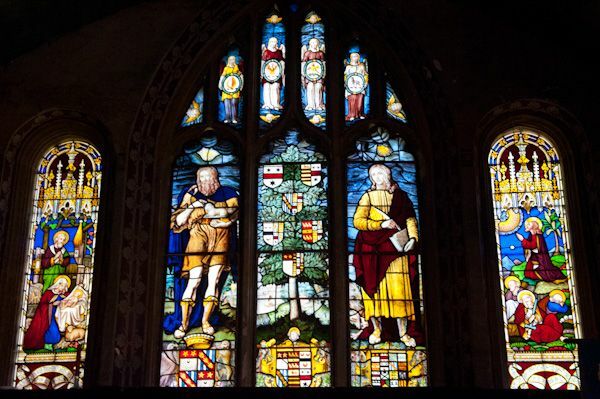 The stained glass at Lydiard Tregoze is extremely impressive - the three-light east window in Flemish style dates to between 1628 and 1631 and is attributed to Abraham van Linge, who also created a magnificent painted glass window in the mansion house. 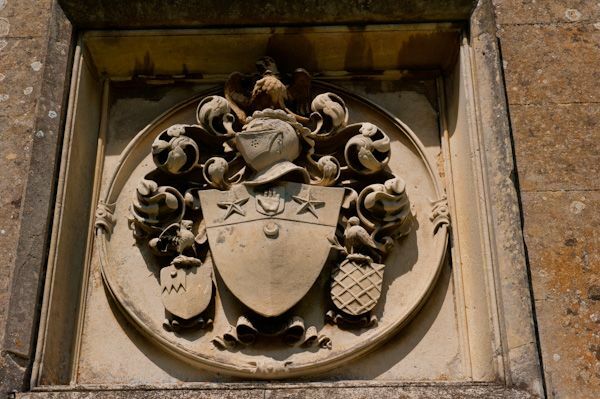 In the St John Chapel are a pair of funerary hatchments to the second Viscount Bolingbroke (d. 1787) and the first wife of the 3rd Viscount (d. 1803). Also of interest are the metal sanctuary railings, which are beautifully crafted and gilded. 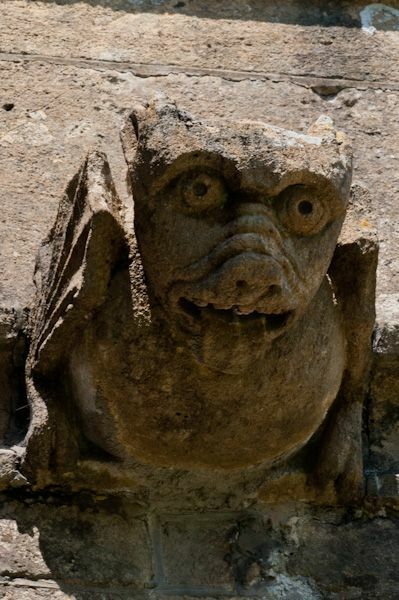 To sum up, St Mary's church is a gem, with historic monuments that must place it in the elite of British churches. Visitors will need to get the church key from Lydiard Park mansion. As of this writing, the mansion is open 10-5 Mon-Saturday and 2-5 Sunday, but please do check for current times before visiting. I just wanted to add a short note to the description of the church to emphasize just how impressive it is to visit. 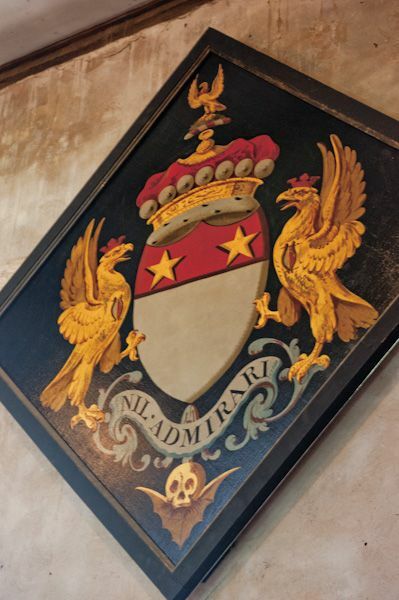 It is one thing to read about the historic furnishings, but quite another to see such a wealth of historic decoration, art, and memorials all in one place. 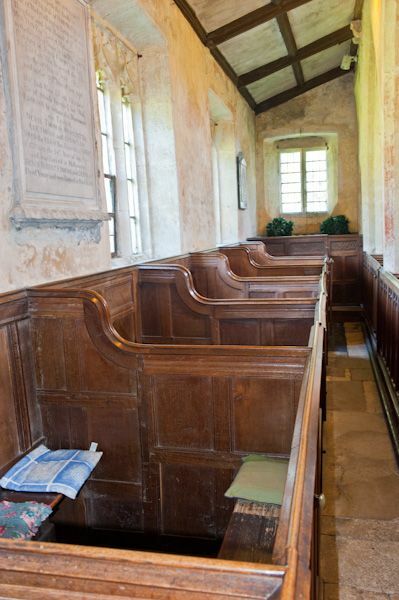 I have seldom if ever, visited a church where so much of interest was crammed into a relatively small space. The Gilded Cavalier is a jaw-dropper, but the triptych and painted decoration of the chancel alone are worth a visit. The St John family tombs are exquisite, and it seems that every surface of the stonework is covered with medieval wall paintings. Then there is the stained glass, which is wonderfully detailed and well-preserved. I could go on and on, but suffice it to say that Lydiard Tregoze church is an absolute gem, and well worth making a special trip to see. Location: Use Hay Lane entrance to Lydiard Park. The park may be signed 'Conference Centre' in places. Paid parking only within the Park.